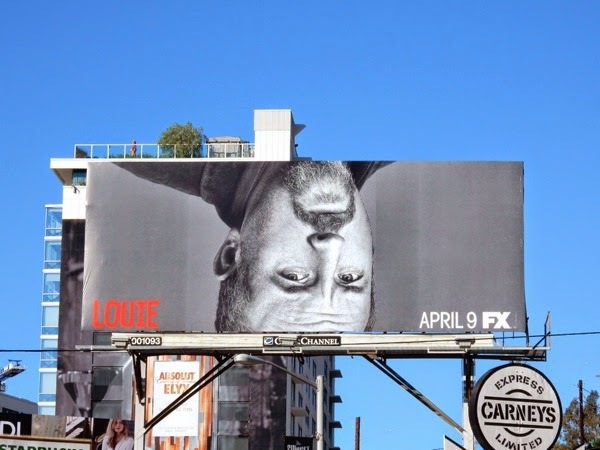 No, your eyes do not deceive you, the billboard company hasn't installed this season five ad creative for FX's Louie upside-down, this is an intentional design choice to help turn heads and this simple idea certainly works a charm. 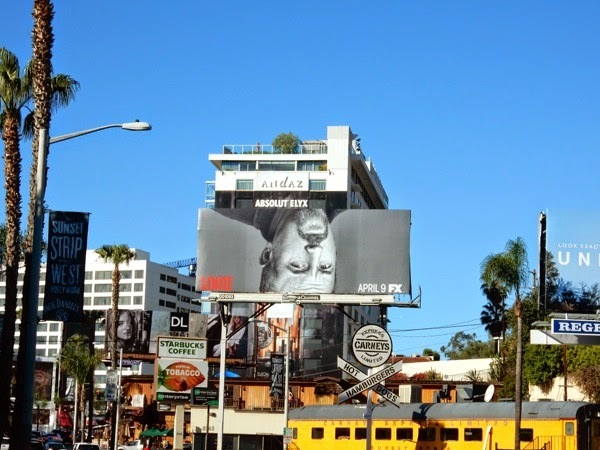 Actor and stand-up comedian Louis C. K. returns as his fictional self for an apparently funnier, more laugh-centric fifth season, than the overly dramatic last season. 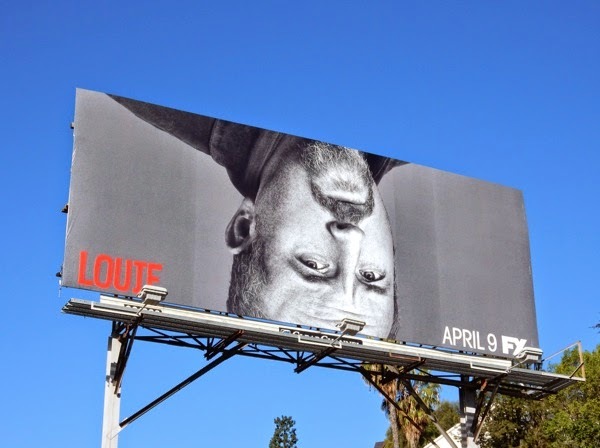 This intentionally upside-down billboard creative for Louie's fifth season was spotted along the Sunset Strip in West Hollywood on March 3, 2015. 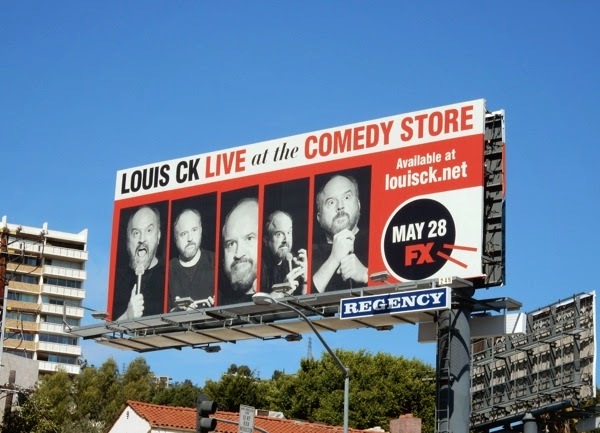 If you're a fan of the show, be sure to check out these past Louie season billboards, including his 2013 Emmy campaign. 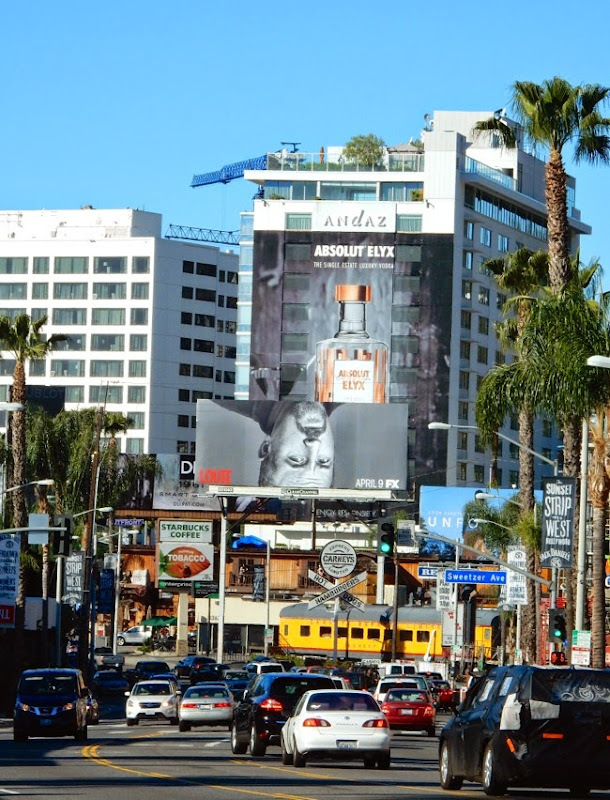 For another billboard turning everything upside-down, you can also take a look at this Houdini mini-series billboard. 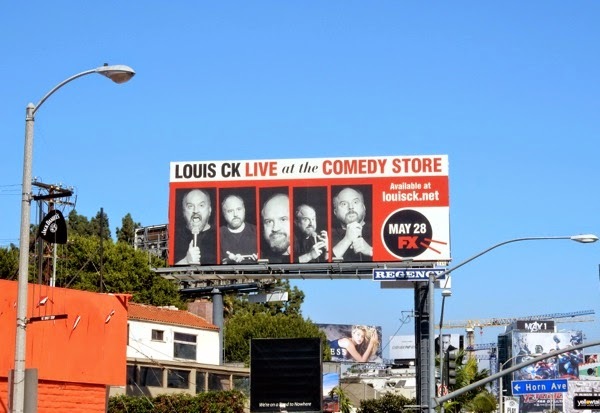 UPDATED: Here's an added bonus for Louis C. K. fans, a billboard promoting his latest stand-up special live at the Comedy Store. 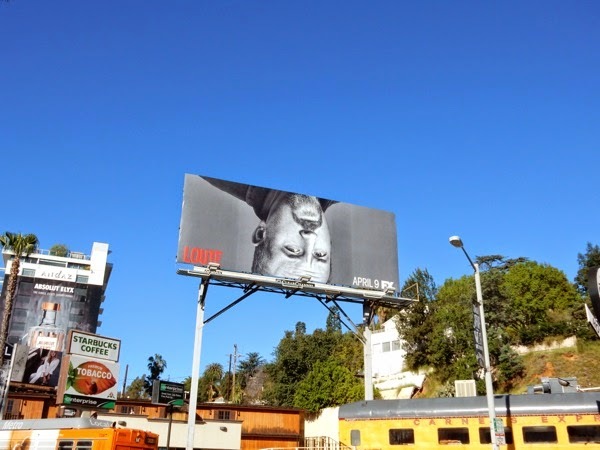 This billboard featuring the many faces of the comedian was snapped along the Sunset Strip on March 23, 2015.